Today in Aruba was great. We went to a small island off the coast that had been converted into a little beach resort / water park. 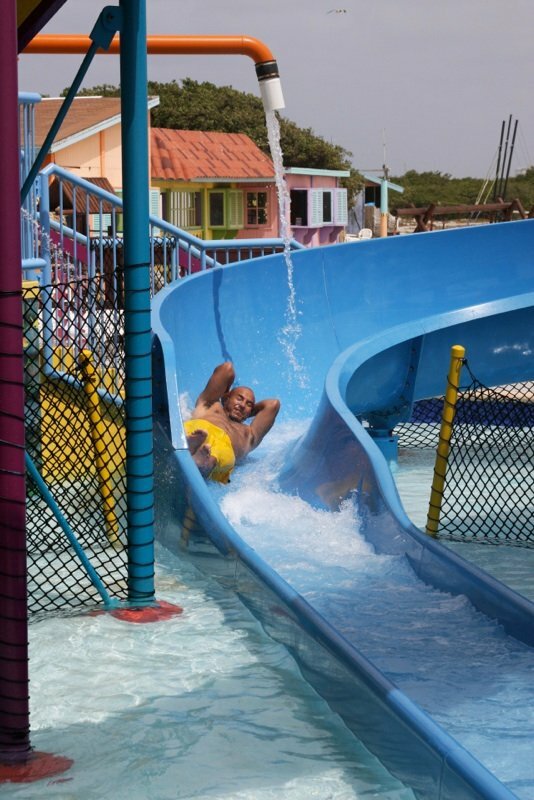 After doing some snorkeling and hanging out on the beach, Bonnie and I headed over to the slides. Now, if it’s been a while since you’ve been down a water slide, you must not know what your missing! Though these slides we’re meant for kids under the age of ten, I seriously couldn’t wipe the smile off my face! Just goes to show, you don’t have to be mature to lose your hair.